This weekend Jay and I did lots of walking around downtown, napping, and generally being slovenly. So, it seemed perfectly fitting that we make something decadent for breakfast on Saturday morning! I lived in France when I was little, and one of our favorite restaurants was called 1513 – our dad always used to take us there and we ate crepes with cheese, ham, lemon curd – you name it! 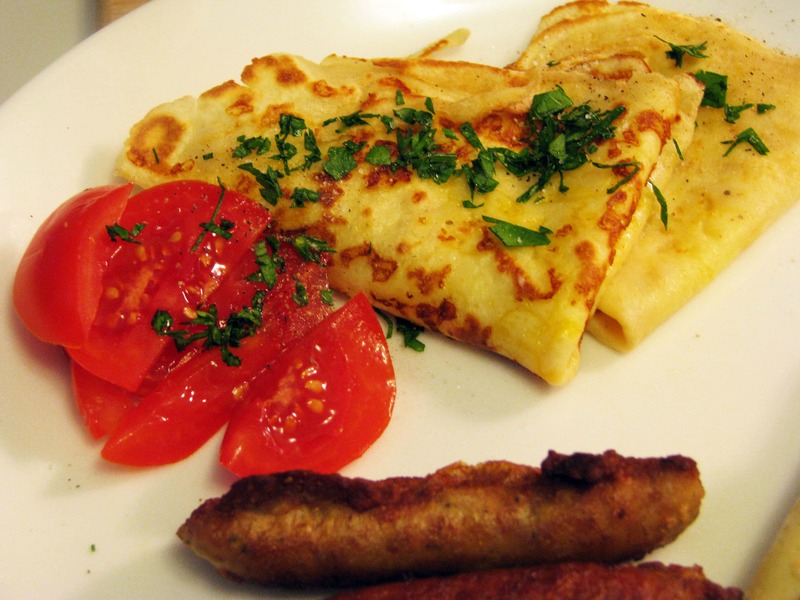 I’ve always loved crepes but have never made them – they have a scary “you’ll fail at this” stigma attached to them and I wanted no part of that! Spoiler alert: crepes are easy to make! Promise. 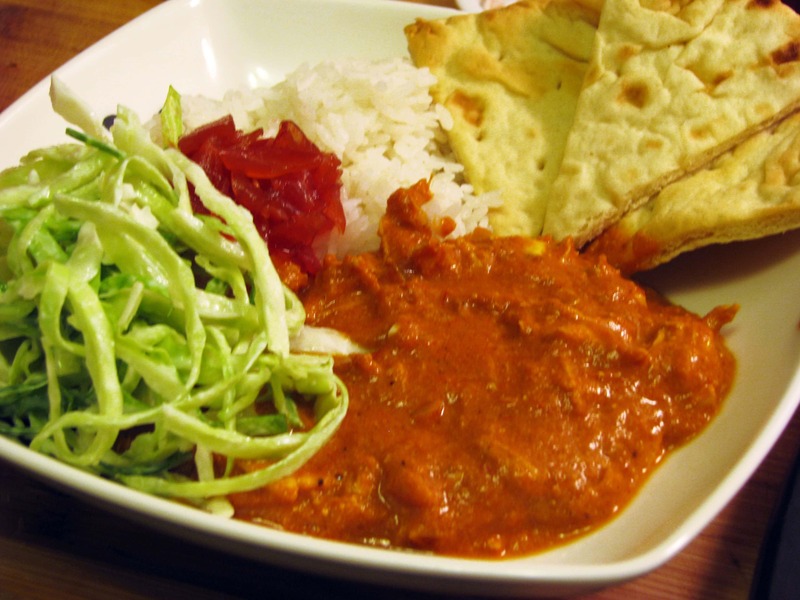 When I lived in Tokyo there was a sweet chain of Indian restaurants that my friends, family, and I frequented. I have no clue why we loved Indian food in Japan so much, but it was fabulous. 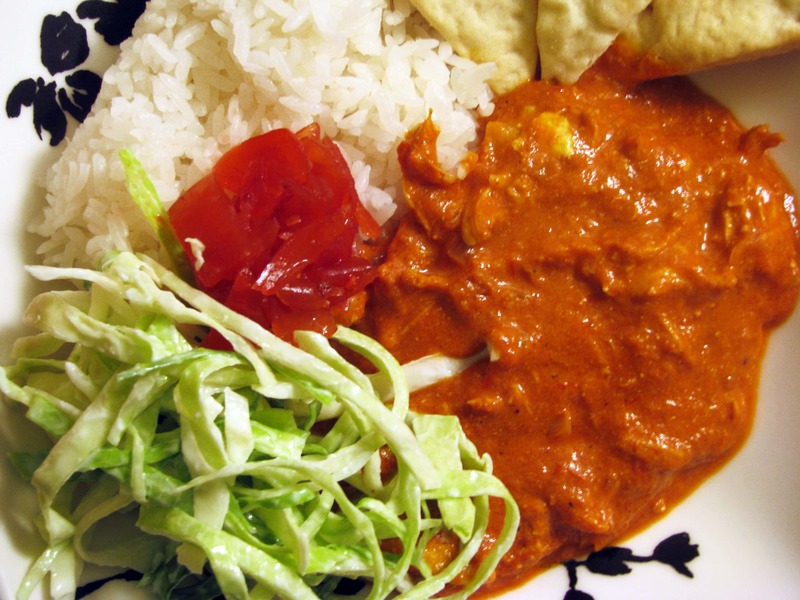 I’ve never had anything like it in America, but my family and I love Indian food, and I’ve found a super duper shortcut to make relatively authentic-tasting chicken curry all the time! My mom likes this a lot and her birthday was yesterday (she turned thirty!! ), so this is in honor of her. I’m going to make curry for you soon, Mama! 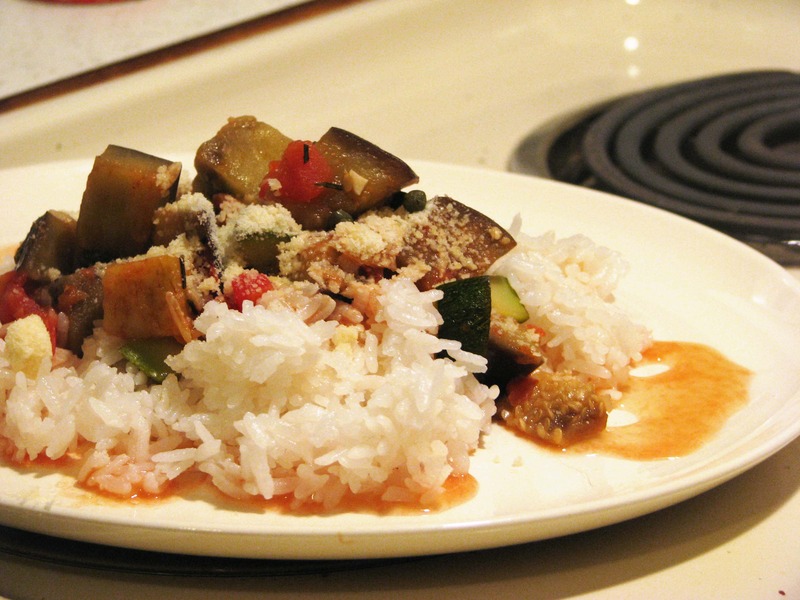 Awhile ago after a particularly bountiful trip to the farmer’s market, I had some zucchini and eggplant that I needed to use. My parents used to make ratatouille when we were growing up, and it was one of my favorite dishes, mainly because I got to use parmigiana to excess on top of the dish. Luckily, I’ve matured a lot since then and rarely go overboard with cheese usage. I made this a few weeks ago after Jay and I spent many hours on a kayaking excursion that left me wondering why I’d agreed to go, if my arm muscles would ever work again, and whether or not Jay would leave me for being supremely unathletic. We were tired and cold and wanted something cozy and comforting but healthy, and this is what we came up with! I’m happy to report that my arms are still doing well at typing sarcastic things and Jay hasn’t wised up yet. I still have no clue why I agreed to go.